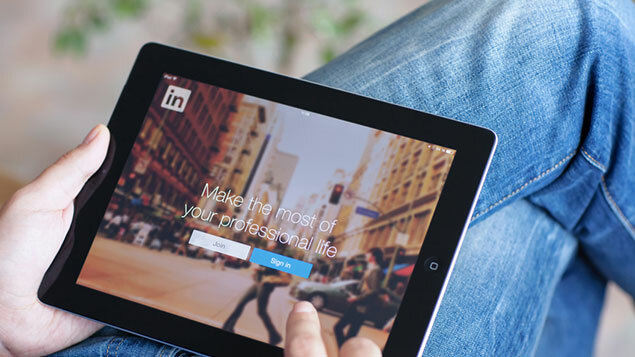 LinkedIn was supposed to be the online tool that would kill traditional recruitment, but, as Cath Everett discovers, hiring the right candidate should be a far more personal experience. Business networking site LinkedIn has had a massive impact on the recruitment and sourcing industry over the last few years, but claims that it would replace traditional recruitment and become the Holy Grail of hiring have been discredited for some time. In fact, when it comes to senior-level recruitment, it appears that downright disillusion may even have set in. According to a survey undertaken on behalf of Norrie Johnston Recruitment, which specialises in senior recruitment, a mere 4% of the 100 HR directors questioned said they felt that advertising via the channel was the best way to find personnel commanding salaries of more than £70,000 per annum. Amanda Fone, founder and managing partner of f1 Recruitment, in her recent blog LinkedIn fatigue: reaching epidemic proportions, also takes a very similar tack. Even though LinkedIn has 300 million members, a lot of senior candidates do not use it very regularly. About half of the HR directors questioned felt that senior recruitment was not a numbers game, so having a massive pool of candidates on tap was not necessarily what they were after. Wading through huge volumes of candidates was often very time consuming for internal teams (25%), particularly if they did not have the specialist recruitment skills required to handle senior and technical roles. Around 46% of respondents were unsure as to the integrity of candidate information, with only 8% fully believing the profiles that they read, thus assigning them a mere 5.3 out of 10 for usefulness when checking people out. LinkedIn does not provide the anonymity that two in five of the survey’s respondents believe would-be employers or candidates really want. Interestingly, Fone also points out that the dropout rate when hiring candidates tends to be higher using LinkedIn rather than a traditional agency, which “meets them face to face and matches values and behaviours as well as skills”. All of which goes to show that, while technology definitely has its place, it is not a substitute for the human factor. This is a really interesting article. We find that solely using LinkedIn as a recruitment tool ca be ineffective however using it as part of a multi-platform approach can work really well. It also seems to vary massively between sectors and occupations, we get fantastic responses in some sectors and virtually nothing in others. It’s interesting that you say that it particularly doesn’t work with senior roles as this is definitely an area where we get some of the best response. Using LinkedIn for resourcing purposes with senior roles has been a highly effective way of opening a dialogue with prospective candidates.